If you are a Secondary School teacher who wants to teach students the up and coming art form of beatboxing, Advent Music will love to get in touch with you. Contact us today! No Hassle of purchasing or renting of instruments – all the students will need is their mouths. Beatboxing, often dubbed as the 5th Element of Hip Hop, is the art of using different parts of the mouth ( lips, teeth, tongue, throat, nose) and sometimes even the hands, to produce different kinds of beats, rhythms, and instrumental sound effects. As beatboxing is a highly impressive art form, it is a great way to boost your student’s self esteem. Your pupils will see their hard work and effort pay off as their beats get more and more advanced to a point where they can string together cool beatboxing beats to show their friends. Charles Stitch Wong, the creator of this syllabus, started beatboxing because he did not have enough money to buy a drum set. As such, he constantly reminds his students that all you need is to be passionate about producing good music with sheer hard work. With beatboxing, which does not require the purchase of a musical instrument, ,money should not get in the way if you are a passionate musician. We will teach your students the basic sounds, B , t, Keh, and then move on to more beatboxing techniques like turntables (scratching), and even how to add words into their beat (beat and rap at the same time). If the period is long enough, our classes will be peppered with fun jams and battles, which are crucial in growing the passion in beatboxing. The only way a student will continue beatboxing, is when u build a beatbox community in the school. Communities results in jams and battles self organised by the students, and the students will be passionate enough to level up on their own. Courses are forgotten, but communities are continued. we aim to build that level of dedication in your students. Advent Music’s Beatbox classes will be the first and last tutorial that your students will ever need if they want to learn how to beatbox. 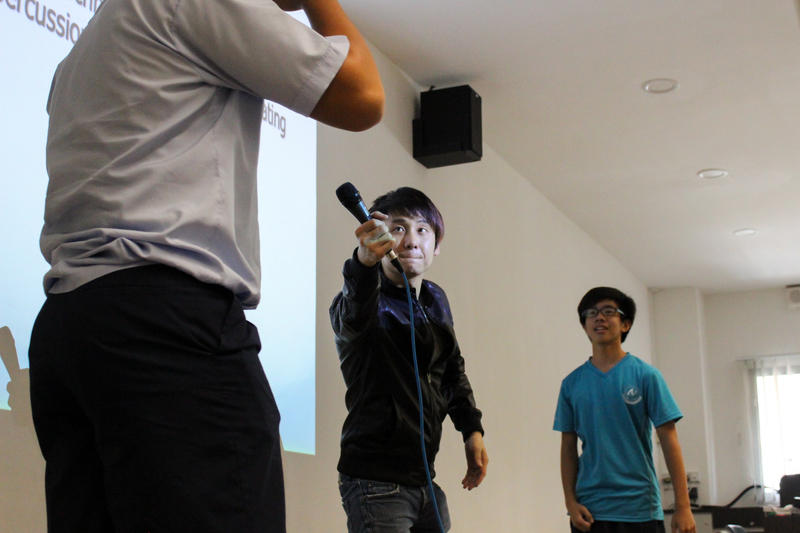 We will guide your students, through step by step practice, into becoming a powerful beatboxer. Who knows? Maybe we will find the next Alem or KRNFX in your school. Teach your students easy yet impressive rhythms and sound effects, that even beginners can do. Contact us today! Need a class for a primary school instead? Click here instead. Need a performance instead? Click Here.